Your auto-enthusiast credentials are sorely lacking if you’ve never been to at least one big car meet. After all, any event where an individual can talk unashamedly about power-to-weight ratios and the inherent balance of a straight-six engine is sure to attract a special breed – you know, folks like you and me. Of course, there are a few car meets out there that are a step above in terms of what’s on display. One such gathering is Cars & Coffee Italy, which sees some of the most expensive speed machines ever to be produced congregate in one small stretch of lawn for ogling and espresso-hyped banter. Suffice it to say, walking around Cars & Coffee Italy is like flipping through a catalog of the most drool-worthy vehicles in existence. It’s one of the few places where an Alfa Romeo 4C can feel humdrum. In one corner, there’s a LaFerrari revving its sonorous V-12. Across the way is a line of Lamborghinis. Then a few Paganis roll in and park next to a Porsche Carrera GT. This year’s event took place in the northern city of Brescia, and saw well over 200 supercars come out to play. After a brief exhibition on the grass, the drivers once again took the helm to form the most expensive convoy you’ve ever seen. The destination? The Mille Miglia museum, where cheering throngs of car lovers were gathered to witness the scene. While the rest of the world concerns itself with efficiency and fuel economy, the brains over in Maranello are more interested in turning faster lap times. 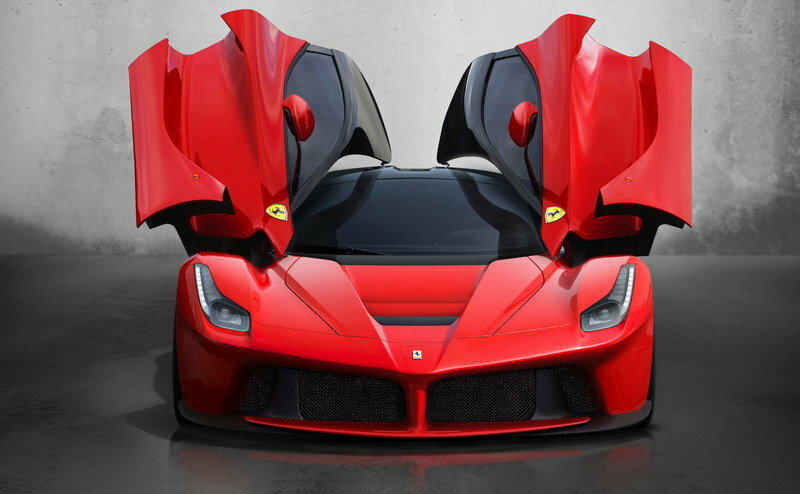 Hence, the LaFerrari, the fastest road-going prancing horse ever created. Just about every aspect of the car was informed by the marque’s F1 program, including the beautiful yet highly functional exterior aerodynamics, spacey and button-laden cockpit, magnetorheological suspension and electronic differential. Making the go is a V-12 ICE mated with an electric motor for 963 horsepower and over 663 pound-feet of torque at the rear wheels. A sprint to 60 occurs in less than three seconds and top speed is over 217 mph. 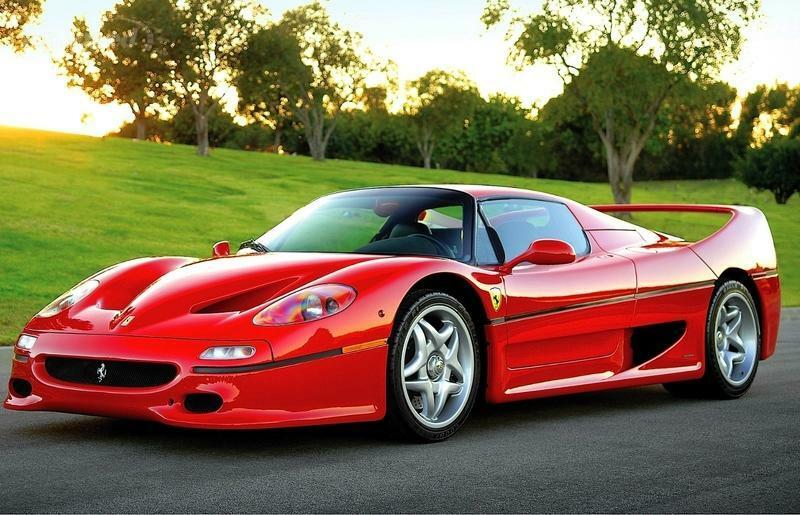 Produced between 1995 and 2001, the F50 was not as roundly praised as the F40 that preceded it. The exterior was far more stylized, with curves a’plenty and a removable hardtop roof. The interior came with slightly improved livability, with working A/C and heating, and the seats are a bit roomier. The rear mid-mounted V-12 engine added displacement but lost the turbos, consequently gaining 42 horsepower (514) and losing 79 pound-feet of torque (347). Still, the car remains one of Ferrari’s icons, and easily fits in with a crowd of supercar greatest hits.